Late on the evening of August 24, 2015, Joplin police officers were called to the home of a suicidal woman armed with a loaded handgun. Upon arrival, officers learned that the subject had made several suicidal statements to her ex-husband. Concerned that the woman may try to flee, Joplin police officers cleverly pre-deployed Stop Sticks® at the end of the women's driveway. When the subject eventually rushed to her automobile and attempted to leave the scene, she struck the Stop Sticks® resulting in the flattening of two of her tires. Unable to flee, the subject was taken into custody for a 96-hour mental health evaluation. 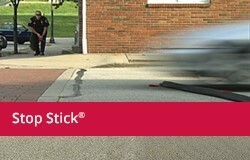 "If we are concerned a subject might go mobile, we will deploy Stop Stick® to prevent them from doing so," explains Matthew Stewart, Assistant Chief of the City of Joplin Police Department. 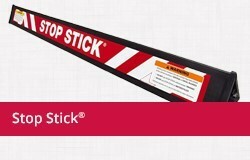 "We also value the way that Stop Sticks® are manufactured, as they are safe for our officers to use and effective in many situations", he continued. Thanks to the Joplin Police Department's resourcefulness and sharp instincts, the subject was safely detained and no innocent citizens were harmed. 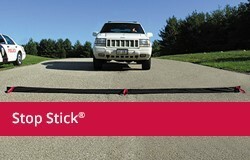 "We couldn't be happier with Stop Sticks®. We have successfully used them to bring numerous incidents to an end," states Assistant Chief Stewart. 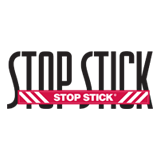 Stop Sticks® have been efficient in ending over 25,000 vehicle pursuits in the U.S. as well as safely ending other potentially dangerous situations. 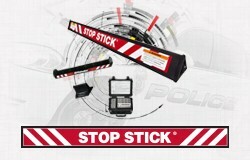 Stop Sticks® continue to aid in protecting the public, law enforcement and suspects. An internationally accredited police department, the Joplin Police Department is comprised of 111 officers serving approximately 54,000 citizens in the city of Joplin, Missouri. Joplin police have employed Stop Sticks® in traditional (stopping vehicles in high-speed pursuits) and non-traditional (preventing suspects from going mobile) situations for nearly 10 years.